CITY SETTLE FOR HARD EARNED DRAW AGAINST CHELMSFORD. HEADLINE: City settle for hard earned draw against Chelmsford. City welcomed Chelmsford to the Taverham H2O hoping to secure their place in Prem A for next season after a disappointing loss to Harleston the week prior. City with a reshuffled line up, were hoping to take points. The game began and City were off to a shaky start with Chelmsford seeing a lot of the ball in the early stages. City’s defence held strong however, and the match remained level. City gathered themselves and began movingly the ball around nicely, transferring it round the back four.. Midway into the half, City opened the scoring after a great passing move split open the Chelmsford defence and was finished off smartly by Cameron Cooke. City came close to extending their lead when a close range effort form Chris Wardale required some attention from the Chelmsford goal keeper and defenders, as they worked well to scramble the ball off their own goal line. Nearing the end of the first half City conceded a short corner which, unfortunately for City, was rifled into the top left corner of the City net. City began the half knowing they could get something from this game and were unlucky to be behind after a solid first half performance. The game became a end to end affair with neither team able to capitalise on counter attack opportunities. This was until Cameron Cooke struck again. A great solo run from inside the City half was clinically finished around a helpless Chelmsford keeper. City were back ahead. Chelmsford upped the intensity and began to press City higher up the pitch. However, City coped well and were able to keep the opposition at bay. It wasn’t until a miss controlled ball at the back lead to panic in the City D and, unfortunately for City, ended with Chelmsford being awarded a penalty flick. Despite Alistair Cooke getting a pad to the ball it still made it’s way over the goal line. The score was level once more. City reacted well, creating a couple of great chances, but lacked the finishing touches needed to convert. A highlight in the second half for City came when Gabriel Marchant attempted a press up tackle to win the ball back but, despite his creativity, this came to nothing except a free hit for Chelmsford. With the game coming to a close City had to be alert to keep out another Chelmsford corner with seconds to go. Overall a great performance from City who were unfortunate to to take all three points form this game. However, with this result City have secured themselves a spot in Prem A next season. Hopefully City can continue this good run of form for their last two games of the season. City travelled to Harleston Magpies, a side that have already secured promotion, in the hope of picking up some points to secure their place in Premier A next season. The game began and City were under pressure in the early stages with Harleston coming out of the blocks firing. A warning for City came when Harleston struck the post after a well worked corner routine, but thankfully for City it came to nothing. As the game went on City started to get a grip on the game, maintaining the ball well and creating chances in the Harleston D, however, they were unable to convert. Midway through the first half Harleston picked up another corner which again came to nothing. However, as City attempted to start a counter attack the ball was intercepted on the 23 by a Harleston forward and seconds later ended up in the back of the City net. City kept their heads and continued to move the ball around nicely. It wasn't long before they equalised. A slick counter attack ended with Gabriel Marchant setting up Josh Bailey, who finished brilliantly with the ball arriving at chest height, he volleyed it over the Harleston keeper. The half continued with both teams picking up a few short corners. Harleston struck the post for a second time in the game, meanwhile at the other end Ed Sutton's drag flick whistled over the top of the Harleston goal. With a few minutes left in the half Harleston were awarded a penalty flick, which was put away, much to the disappointment of City after a good half of Hockey. The second half was under way and again City were under pressure early on and, despite the relentless pressure Harleston piled on the City goal, the score remained unchanged. City had a chance to level the score as Sam Bingham somehow ended up on the penalty flick spot with the ball on the end of his stick but pushed it wide, an absolute sitter!. Halfway through the second half City went down to ten as Thomas Cooke was shown a yellow. Harleston quickly capitalised on this by extending their lead with a well finished counter attack. 3-1 Harleston. City pushed for a goal in the dying minutes to try put Harleston under pressure but were unable to do so. Overall, a great effort from City as they competed with Harleston for the whole 70 minutes and were unlucky not to take any points from this fixture. Onto next week where City face Chelmsford at home and will hope to secure their spot in the division with a win. Norwich City Men’s 1st team faced fellow league strugglers Letchworth in a bid for Premier A safety at TRF. With the corresponding game finishing at dramatic 4-3 to City it was expected to be a entertaining fixture with both sides knowing what was at stake. City looked the better side in the first half, creating a couple of opportunities leading to short corners however Letchworth came with the game plan of a half court press to stop and frustrate any of the free flowing hockey City had been playing over previous weeks. Midway through the first half a quick thinking counter attack led by captain Louis Preston who burst through the middle of the pitch creating a 3 on 1 calmly passed to Josh Bailey at the top left of the D, who pulled the keeper out and spotted the unmarked Chris Wardale who comfortably converted the ball into the back of the net to give City a deserving lead over their opponents and give them a 1-0 lead at half time. The second half was a superb team effort to hold out the advances of Letchworth. Norwich keen to hold onto their one goal advantage with the back five led by Cooke and Man of the Match Brown remaining firm and thwarting any opportunities created by Letchworth. The only scare was a Letchworth short corner which was deflected by a City player and turned away from behind his own back by keeper Alistair Cooke in goal. The game finishing 1-0 to City giving them now an 8 point cushion over Saffron Walden an the bottom of the table with 4 games remaining. City came close to taking a point off league leaders Wapping despite going a goal down within 3 minutes of the start, but having equalised early in the second half conceded two late goals. Wapping started brightly going ahead when a crash ball into the circle found a free forward who slapped home. City then tightened up their marking and increased their work rate to limit Wapping’s first half forays into the circle, whilst creating a few of their own circle penetrations, the best chance falling to Josh Bailey who was denied by a last ditch tackle. Two minutes into the second period City drew level thanks to the perseverance of Josh Bailey winning the ball in the circle only to lose it, but then regain it before unleashing a reverse stick shot past the keeper. City improved their ball retention after the break, but Wapping were becoming more threatening when they had the ball, but as time ticked by a draw looked a possibility. However, it was not to be. With 8 minutes remaining the visitors attacked down the left and a ball towards the goal was inadvertently deflected into his own goal by Player of the Match Harry Brown. City pushed forward in search of an equaliser, but in the dying moments were hit by a swift Wapping counter attack that resulted in a third goal that sealed victory. City came out on top in this fixture against the team immediately below them in the relegation battle and the three points sees them move five points clear of the bottom two and also move above Cambridge City 2's. Coach Ali Wardale was pleased with the overall performance particularly the manner in which the team started each half following the poor start to last weeks match. City were two up inside ten minutes, the first coming from Stu Wardle who slapped in from an acute angle after Jack Inghams initial shot had been saved, the opportunity stemming from a Tom Cooke long corner that had been discussed during the week. The second came when Ed Sutton picked up the ball just in side the 25 and drove to the goalline before crossing to give Pete Morgan a simple tap in. With the promise of further goals City lost the composure they had started with and started to head goalwards resulting in lots of turnover. However, towards the end of the half City started to move the ball around regaining the upper hand. Ten minutes into the second period City extended their lead as Cameron Cooke collected the ball on the left and made headway to the left corner holding the ball up before expertly finding the supporting run of Josh Bailey at the top of the circle who finished clinically. The three goal lead was short lived as Walden pulled a goal back following several missed City tackles. City maintained their work rate and snuffed out the majority of the visitors threats and adding a fourth late in the game to secure victory. A long weighted ball down the left by skipper Louis Preston was chased down by Cameron Cooke who once again picked out the rapidly arriving man of the match Josh Bailey to add his second. Bailey was denied his hat-trick just before time when Cameron Cooke elected to shoot rather than pass to his unmarked colleague. The match was fiercely contested from the start with both teams creating early chances, but it was City who took the lead: a neat passing move was finished when Chris Wardale fired the ball into the bottom corner from close range 1-0 City. The opposition rallied but some astute defending and a quickly taken counter attacking aerial to Stuart Wardle who proceeded to body feint the keeper, two centre-backs and then the keeper again before passing into an empty net to double the lead (Classic Stu). Feeling a little left out Thomas Cooke decided he wanted in on the goal scoring action, however, his exquisite near post deflection came at the wrong end of the pitch. An own goal courtesy of some Letchworth crash ball hockey 2-1. City struggled through the early stages of the second half, Letchworth battled their way back into the game and capitalised on their chances scoring first in open play and then from a short corner 2-2. Tense. City then lost the lead after Luke Corden, known for his physical play, brutishly tripped an opposition forward who was through on goal, got himself a 2-minute rest for his troubles. Letchworth upgraded their penalty corner to a flick which was they put away to give them the lead. Norwich found a second wind and set out with strong attacking intent to save the game. It didn’t take long before City’s top scorer Cameron Cooke found himself back post unmarked to level the scores once again. City pushed on desperate for a winner, firmly in the driving seat. With little time remaining what can only be described as a miracle goal from Luke Corden won City the game. A near post deflection threaded through the Letchworth defence by Cookie Senior. It proved to be the last touch of the game giving them a 4-3 win, amplifying the celebrations and confirming City’s first win of the season. Next week City will be looking to extend their good run of form when they welcome local rivals Harleston Magpies in what will hopefully be a close encounter. 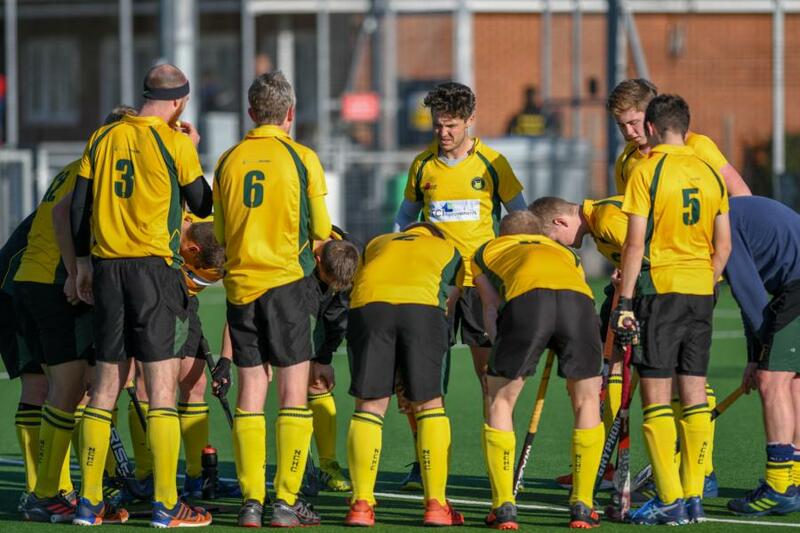 REPORT: This week City faced top half of the table side West Herts 1's, hoping to get a result after the disappointment of losing at the Lee Valley last week, despite playing some good hockey. City started well controlling the early stages of the game, moving the ball well round the back and getting the ball down the sides of the pitch when the opportunity arose. It was, however, the away side that struck first with a goal. Despite the frustration in conceding, after being the more dominant team in the opening minutes, City did not panic. After a well worked move from City, Pete Morgan found the ball at his feet around the p-spot and finished calmly, putting City back in the game. It wasn't long before City got a second, a sublime drag flick from Tom Cooke was fired into the top right corner of the West Herts net, giving City the lead. Some resilient defending from City was required towards the end of the half to keep the opposition from levelling the scoreline. In the dying minutes a City counter attack lead to a third goal. Cameron Cooke on the score sheet again this week, finishing well from a tight angle to put City in a good position going into half time. The second half began with West Herts coming out on top during the early stages of the half. However, City held on and had a few chances of their own. Midway through the second half Jeremy Elliot received a very harsh yellow putting City down to ten. The pressure mounted from the away side but the City defence held strong once again, keeping out some well worked short corners from the opposition. With City back to 11 it took a few minutes before another card was brandished. This time Tom Cooke was shown a yellow and in the new few minutes Jack Ingham and Pete Morgan also received a yellow card. City were down to 8! Frustratingly for City, West Herts used their man advantage well and using the space that had opened up with 3 City players in the bin, they managed two goals in quick succession. For the final minutes of the game it was City's turn to have the man advantage with a West Herts playing been shown yellow. Unfortunately for City there wasn't enough time to punish the opposition and the game ended all square. Overall, City will be disappointed with the result as the 3 points was definitely there for the taking. If City can keep up this level of performance and keep 11 men on the pitch they will definitely start getting the results they deserve.